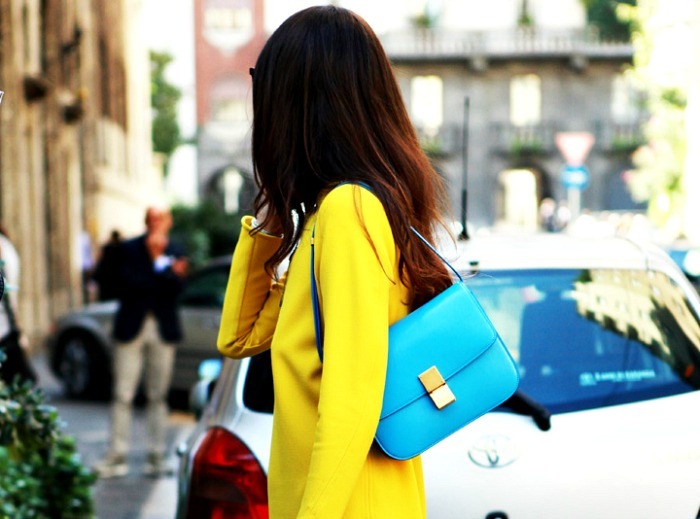 Who says you can't sport that bright yellow this fall season? I think yellow has become one of those most versatile colors this past spring/summer season. It's a perfect 'transitioning into fall' color because of the richness of all the different yellow hues. It's bold, fierce, playful and classic. You can pair yellow with almost any another color and I promise you, it will work. I kind of see yellow as working as a neutral for fall even; compare it to the likes of white, black, tan, etc. 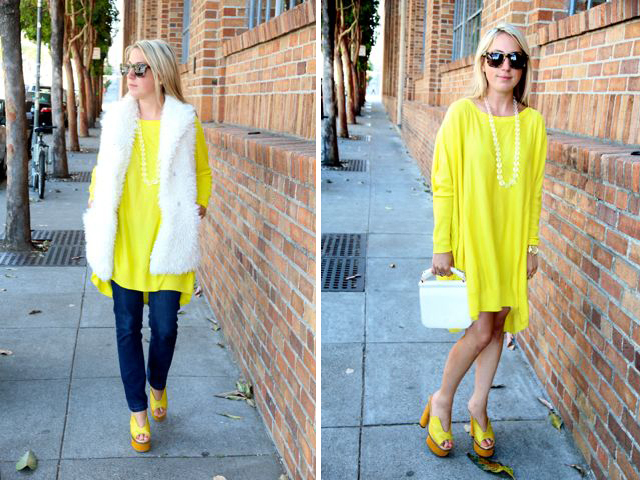 Above are images from a few of my favorite bloggers that show off how they styled their yellow pieces. I'm in love with the way each one has done it her own way. So, what will I be pairing my yellows with this fall? A: Prints, prints, and more prints. Also going to try the color-block and infuse some rich jeweled-tone colors.